Chicago House Portrait Series coming to life! 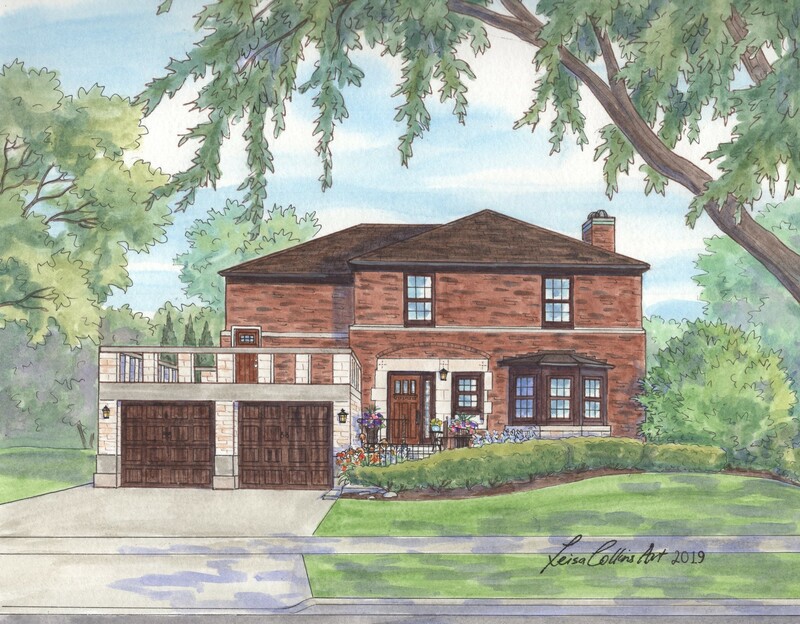 Home / House Portraits / Chicago House Portrait Series coming to life! Chicago Architecture is one of a kind! 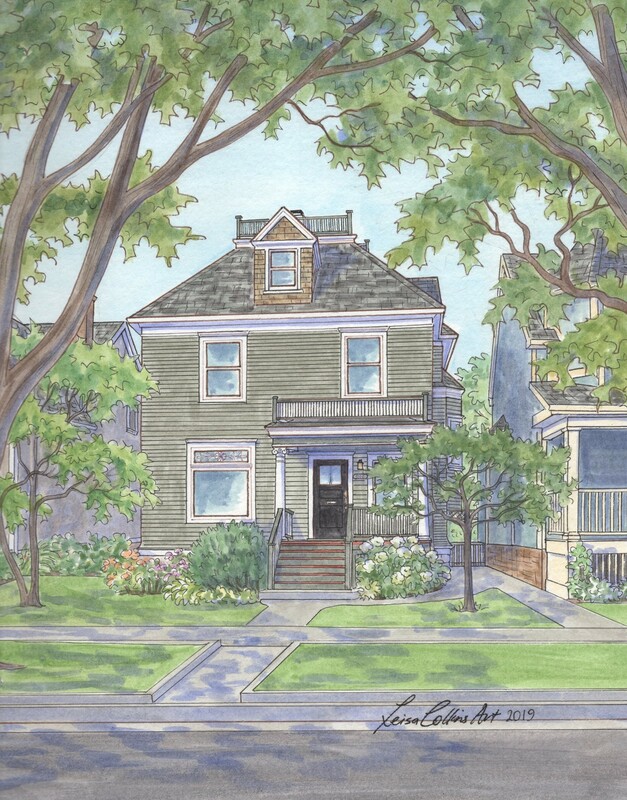 I am proud to display the first paintings of my Chicago, IL house portrait series here. It is a well known fact that the architecture of Chicago has influenced and reflected upon the history of American architecture. 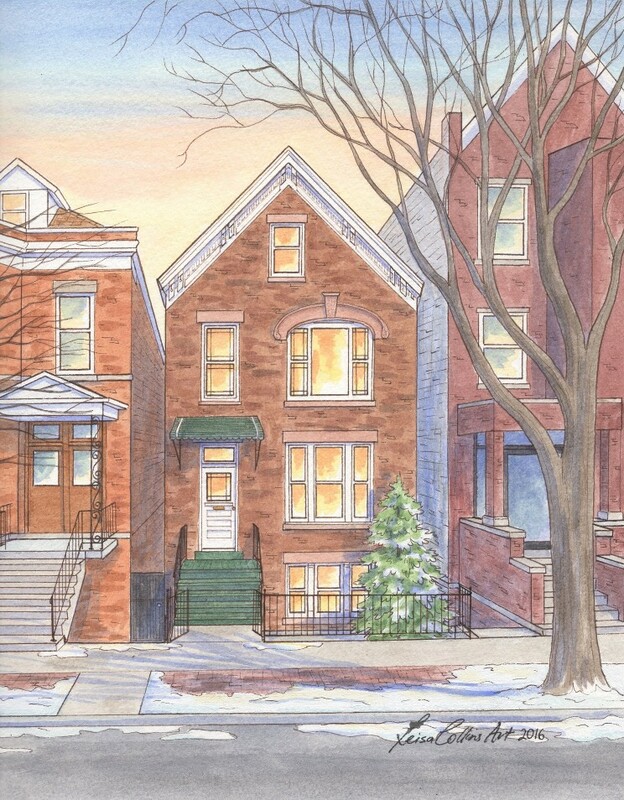 Chicago’s architecture displays the city’s fascinating history and it’s multicultural heritage. It features a variety of styles, designed by prominent architects. Sadly, in the downtown area most structures were destroyed by the Great Chicago Fire in 1871 (the most famous exception being the Water Tower), therefore Chicago buildings are mainly noted for their originality. 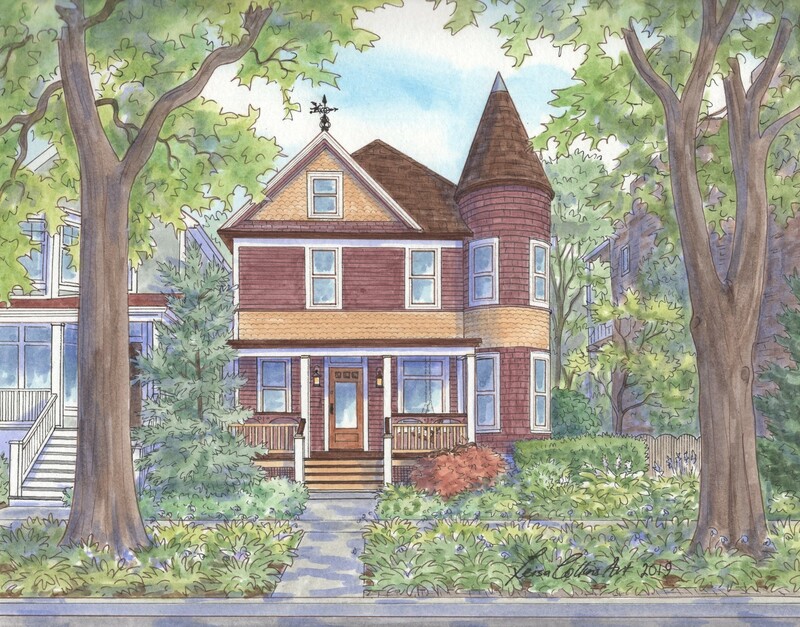 But beyond the downtown area and its towering skyscrapers, wander through the residential streets and you you will soon see why Chicago uniqueness is world-famous, from Chicago Bungalows and Victorian Two-Flats to the grand Graystones along Logan Boulevard. There is also a wonderful variety of religious architecture such as the city’s ornate “Polish Cathedrals”. 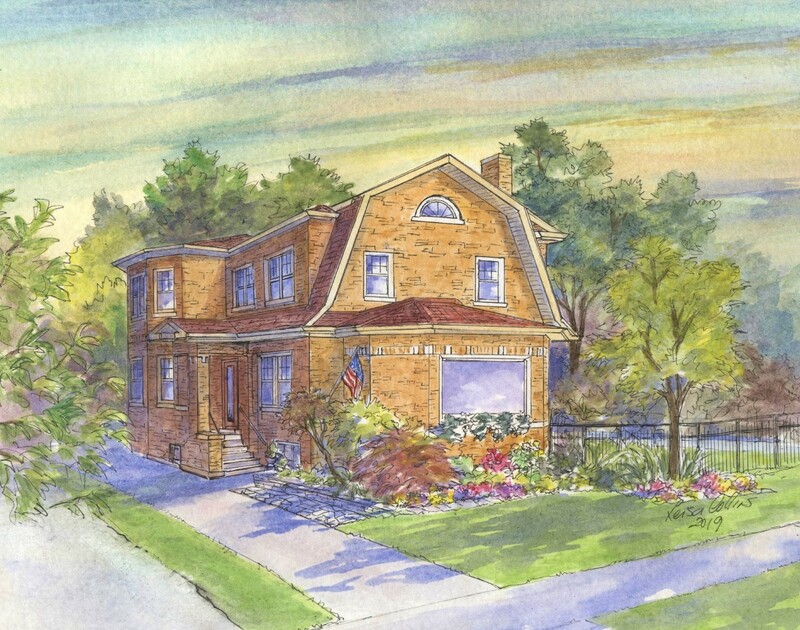 Let’s start with these simple but endearing homes. 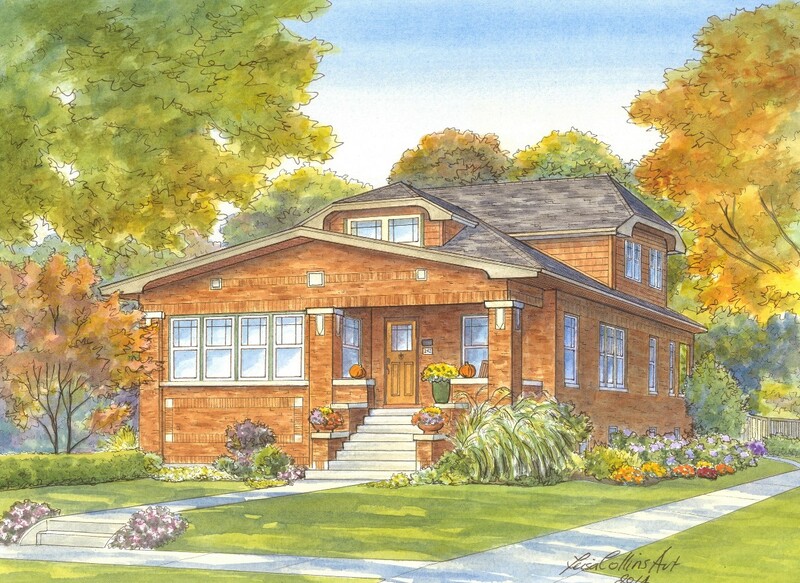 Chicago bungalows were mainly built between 1910 and 1940 for working class families. 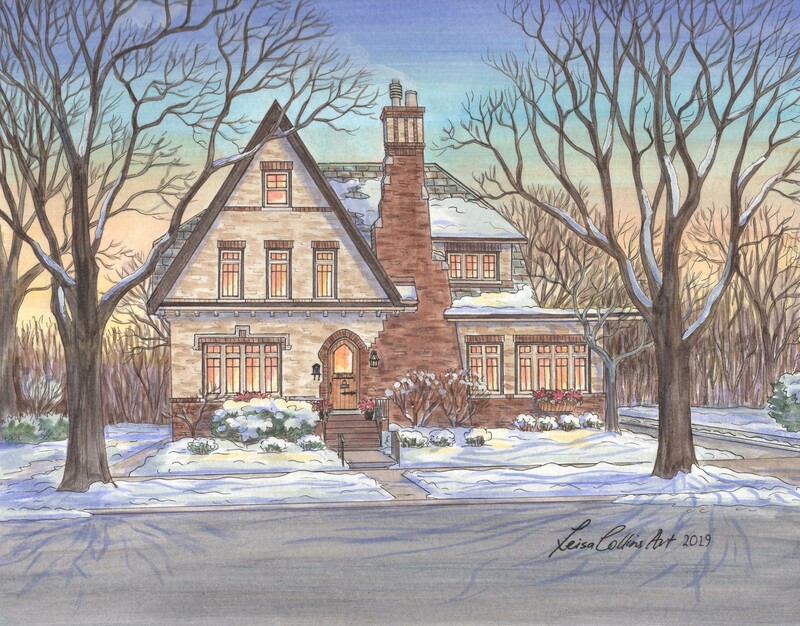 They were usually constructed of brick (many including decorative designs and accents), with one-and-a-half stories as well as a full basement. 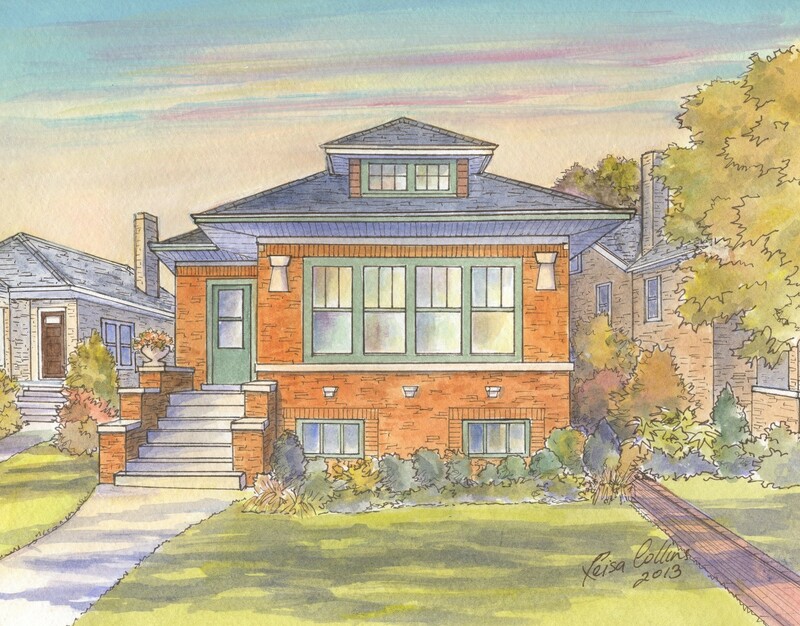 There are 80,000 bungalows in Chicago and this style represents nearly one-third of Chicago’s single-family housing. I found a really helpful reference to the unique architectural styles of Chicago in a Curbed Chicago article and I am using their info here. 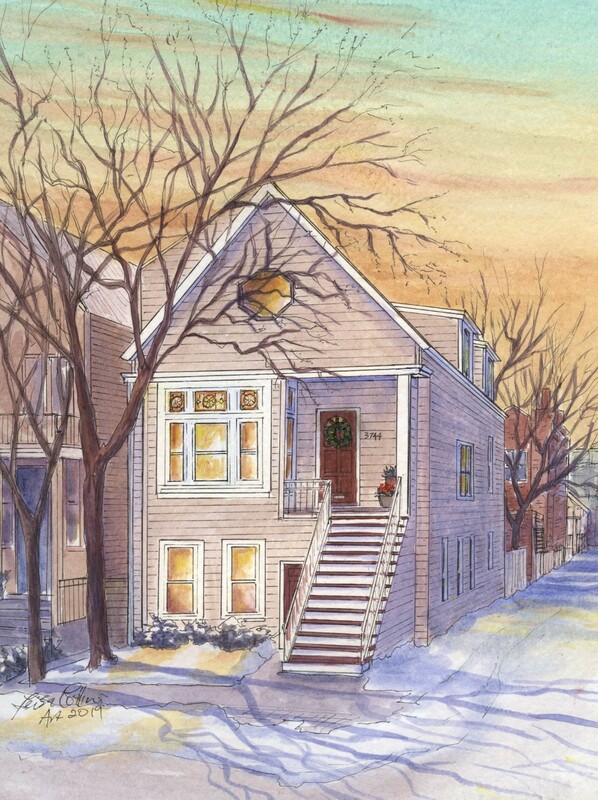 The Victorian two-flat is often referred to as the workhorse of Chicago housing. 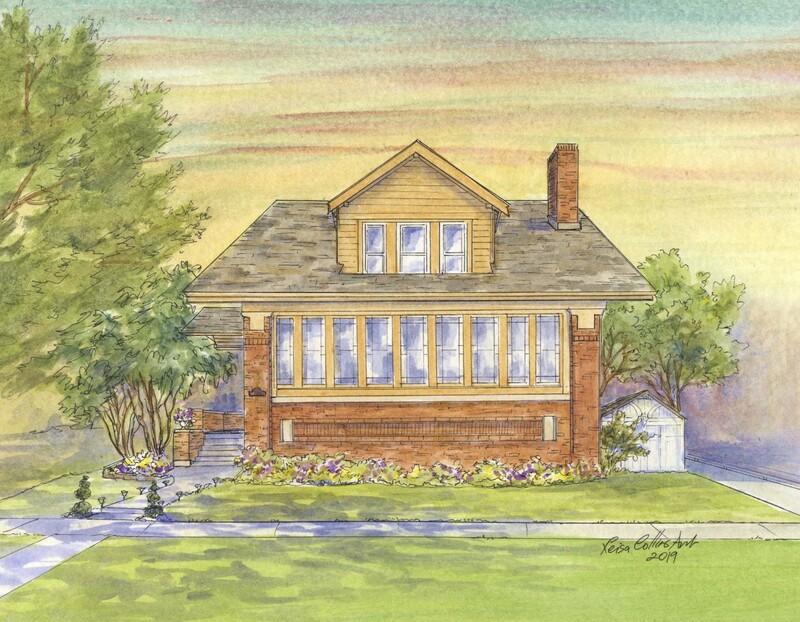 It was typically built from 1900 to 1920, these homes were a bridge for the working class between apartment life and the single family bungalows that followed. Usually, the owner lived on the first floor, and the second floor was rented out. 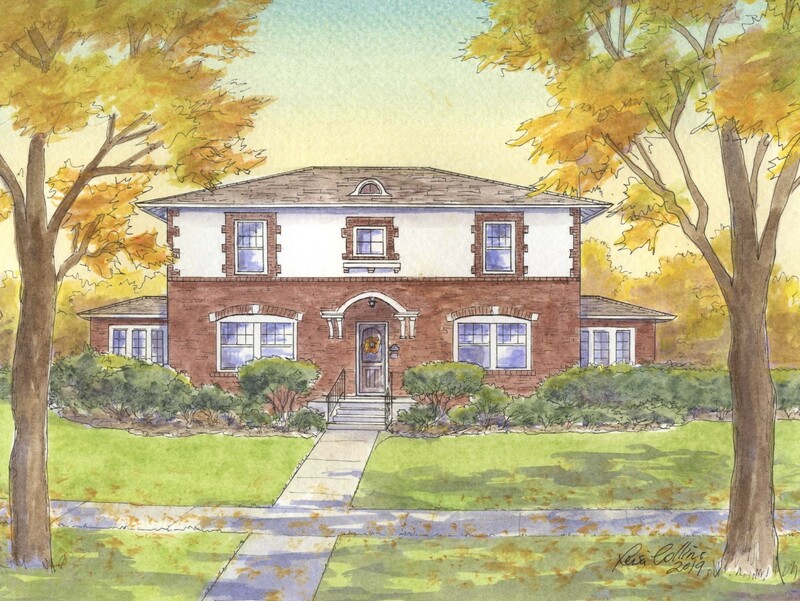 Two-flats were made of wood, brick, or stone and found in a variety of architectural styles. 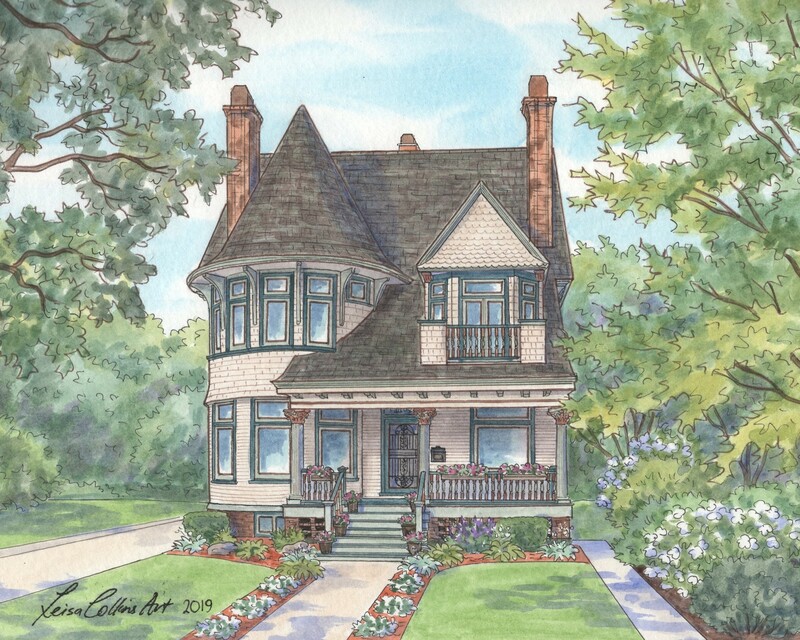 This Two-Flat house portrait below was built in the early 1900’s and has a Victorian layout. As is the case with many of these houses, they were converted into one home as is the case here. 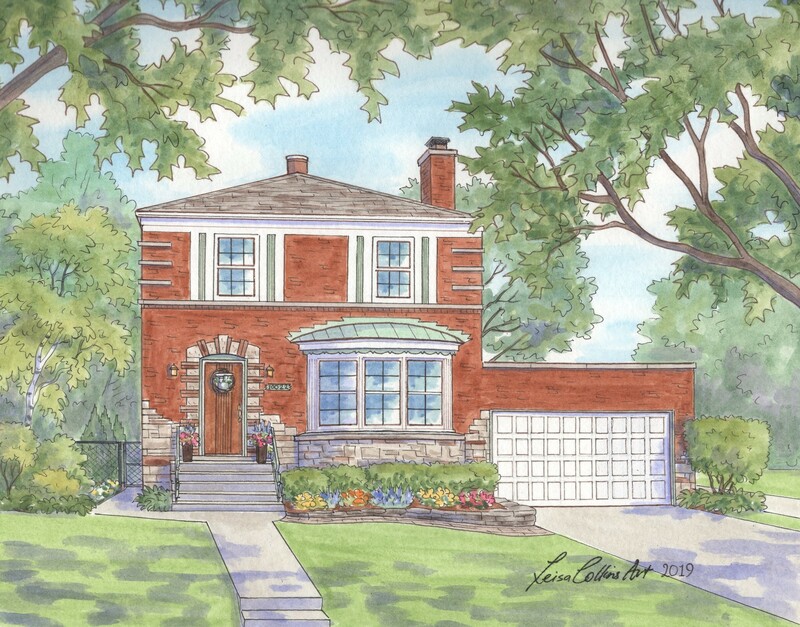 My clients and the owners of this house have lived there for decades and have steadily made improvements over the years. 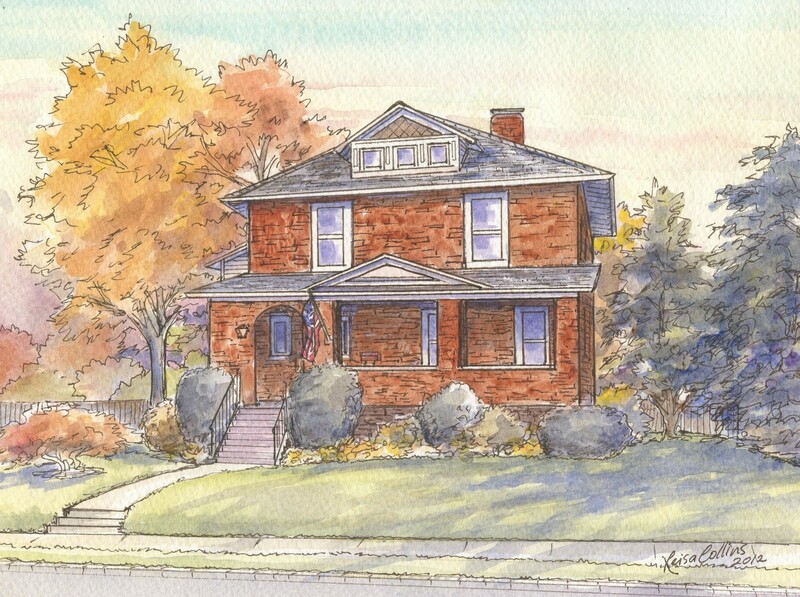 I was commissioned to create this painting of The Marlborough. 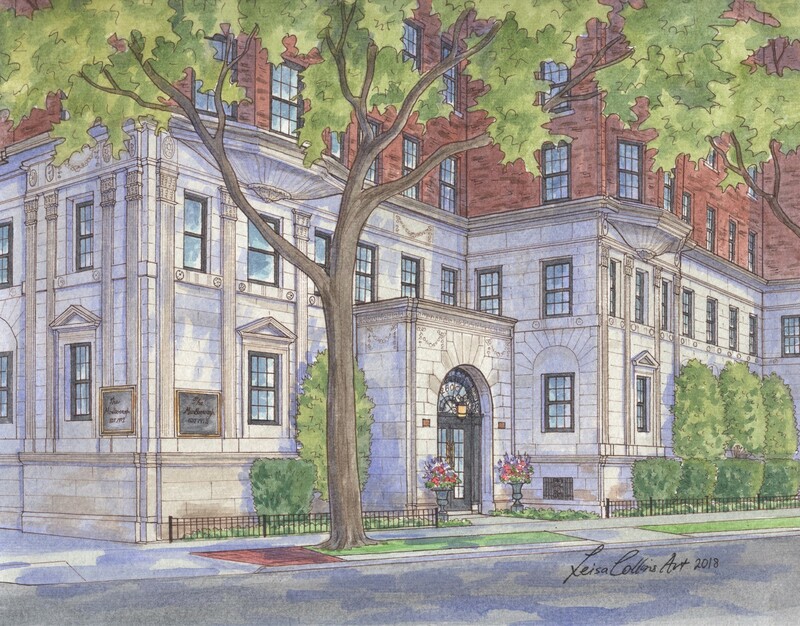 This beautiful building was designed by architect Robert DeGolyer who also designed other luxury apartment buildings in the early 1900s, all along Chicago’s lakefront from the Gold Coast to the northern boundaries of Lincoln Park. 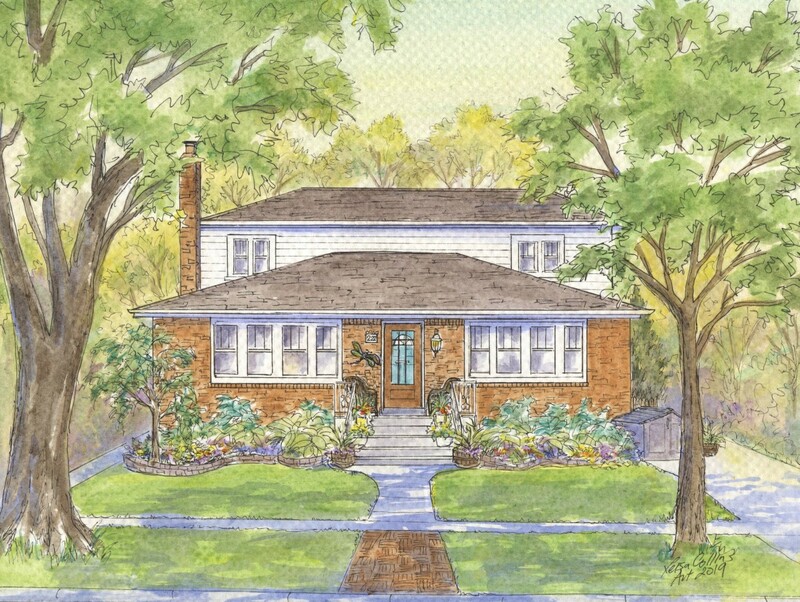 As in most cities in America, Chicago has it share of Mid-Century Modern homes and many such as these have unique features. 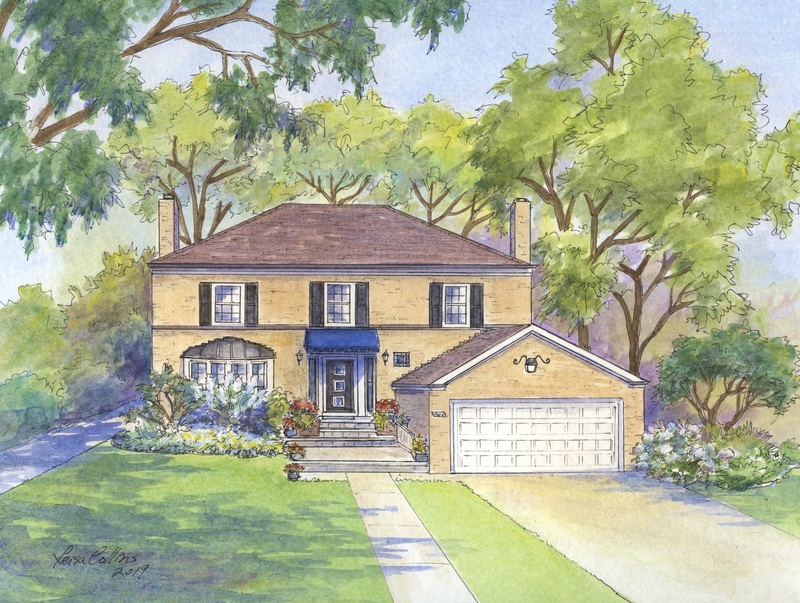 Tudor homes experienced a revival in Chicago and throughout the United States. Mainly built of stone and brick they were a perfect fit for the Chicago climate and for the tastes of its Chicago residents. Like the Arts and Crafts movement, Tudors were also a protest against the mass produced Victorians of the industrial era, and a move toward more hand-crafted homes and features. This can be seen very clearly with this Tudor home. I hope you have enjoyed this mini-tour of Chicago architecture. 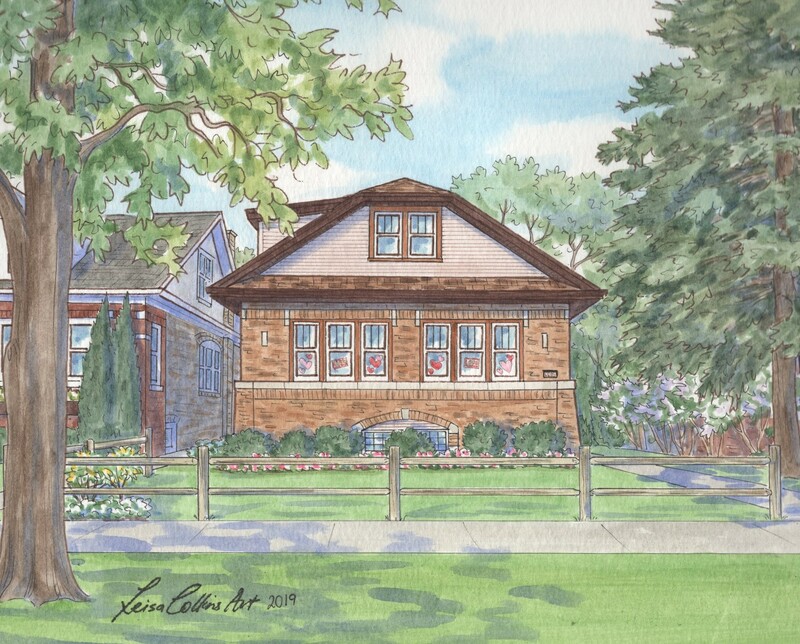 These hand-crafted original portraits that capture the special memories of each of these homes are now proudly on display inside these lovely Chicago houses.